Reiki (pronounced ray-key) originated in Japan 2,000-3,000 years ago and is a type of energy healing administered through the hands. It promotes stress reduction and deep relaxation thereby assisting the body in its own natural healing process. Reiki can be very helpful with both people and animals for a wide range of issues. It strengthens the entire energy system of the body so that other healing methods may be more effective. A positive and healthy energy flow throughout the body is crucial to the maintenance of good health on every level. Stress can inhibit that flow and performance animals are especially prone to injury because of their lifestyle and the demands put upon them. Many health issues respond well to Reiki sessions on some level. Spiritual, emotional, and psychological healing may result and manifest into the physical realm as well. Used in conjunction with other modalities, it creates a solid foundation of positive energy flow which enables the body to heal itself more quickly. All living beings can be helped by Reiki energy, even plants! 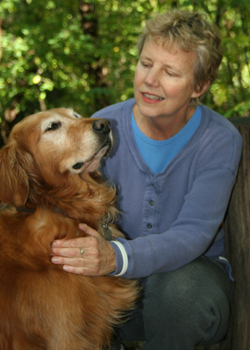 Both people and animals respond well to Reiki and enjoy it. It may be used for all types of illnesses, injuries, and emotional problems. In animals the extra attention and feeling of the energy draws them to the Reiki practitioner, who gives Reiki by simply laying hands on or over the auric field of the animal or person. Reiki sessions can expedite the healing of physical trauma caused by accidents or surgery and help relieve pain, stress, and bring balance. A typical Reiki session for a companion animal or human usually lasts about one hour although sessions for animals may be shorter. Consultations involve information gathering, a review of progress and a short discussion of potential areas needing continued assistance. Because Reiki involves healing on an energetic level it can also be done remotely if an ‘in-person' visit is not feasible. Hour-long sessions are $125 and include psychic information that may come through for you during our time together. Fees for shorter animal sessions are prorated. Please contact me or call 651.206.0644 for more information or to set up an appointment. I am available days, evenings, and weekends. You may also want to visit www.reiki.org for more information. Note: Reiki healing is not meant to take the place of traditional medical treatment.